Ahoy matey's! 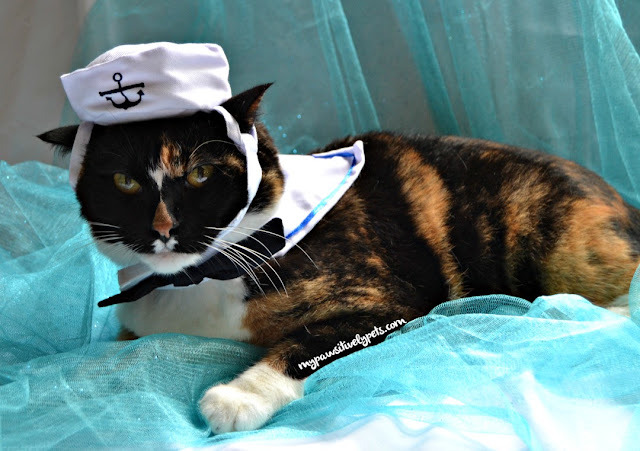 Captain Callie here is ready to sail the seven seas in her new sailor costume for cats and small dogs. 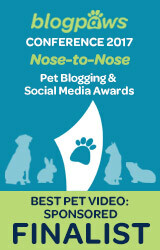 Much to Callie's dismay, when I spotted this gem in my email inbox I just couldn't resist. 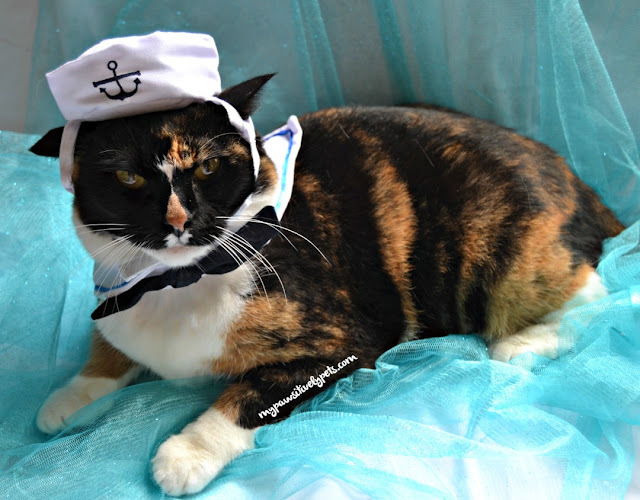 However, she makes a mighty fine sailor cat if I do say so myself. What do you think? Callie doesn't mind the neck piece, but she's not really a fan of the hat. This Namsan Sailor Cosplay Costume for cats and dogs is two pieces - the hat and neck piece. 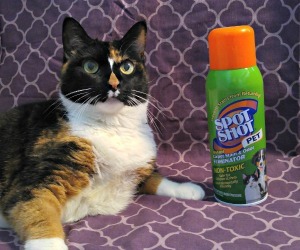 It's suitable for small or medium sized cats and dogs. Batten down the hatches because Callie is going to be the best dressed cat at the next costume party she attends! We'll be shovin' off now! There are many fish in the sea to catch. Callie is ready to fish up some tasty tuna or cod for grub tonight. We received a Namsan Sailor Costume for Pets at no charge. This post contains affiliate links. You're Callie the sailur cat. MOL! I can see why the hat annoys me. Let's catch us some grub and then you can bite your human for making you wear the costume. You make one very adorable sailor, Callie!! You're very cute, Callie, but we're glad you're wearing that sailor outfit and not us. I bet Binga and I would be MUCH happier to wear this than Callie! 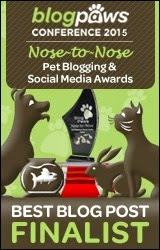 Well, maybe me... not so sure about Binga, MOL! You are an adorable sailor!